Browse our exclusive inventory of Long Beach Island new construction homes, each with a unique design and layout intended to maximize space and views. The homes you will find on this site, many of which are not yet listed for sale in the MLS, offer outstanding locations on Long Beach Island with water views and in close proximity to the beaches of LBI. Enjoy browsing and welcome to the Long Beach Island real estate market! We take great pride in our finished products. We have worked hard to provide current styles and stay on the cutting edge of our selections. Here you can browse some of our past projects to see the finished product and help customize your LBI real estate new construction. 144 E Dune Lane promises to be one of the most magnificent homes on Long Beach Island. The home is situated in the exclusive "Dunes" section of LBI on a massive private lot with mature vegetation (providing privacy not usually found on the south end of LBI) and 90 feet of oceanfront. This nearly 6,000 sq. foot home offers 2,736 sq feet of decking, 7 bedrooms, each with a private bathroom, three separate living rooms including a massive 34x27 great room, in-deck pool, outdoor kitchen, ample off-street parking for 16 cars and stunning views of the ocean and beach. Top of the line finishes will include nu-cedar siding, hardwood and tile floors throughout, wine room, stone counters, glass railings, an oversized master suite with ocean-views, soaking tub, his/hers closets and a private outdoor shower...the finish list goes on and on. This home will be constructed by local builder JDM Andrews which is located in Ship Bottom and available for a consultation anytime. 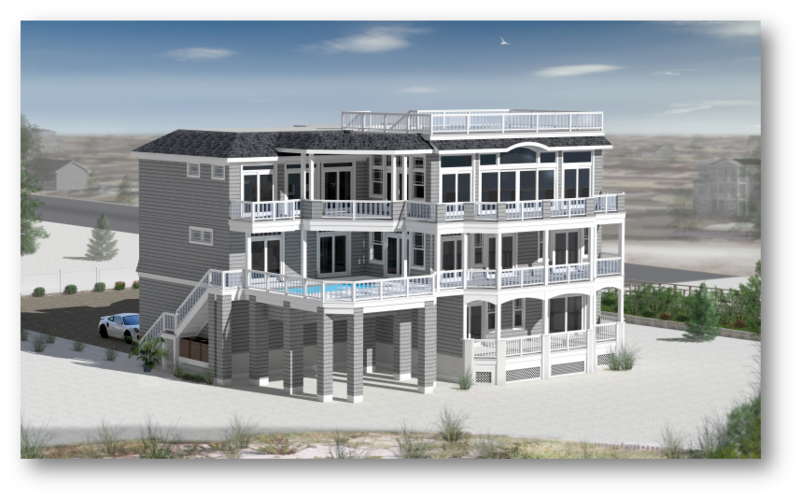 3701 Ocean Blvd is a brand new oceanfront construction in Brant Beach on Long Beach Island. One of the least expensive oceanfronts on the market, this magnificent home offers superior views due to a favorable front setback. The layout offers 5/6 bedrooms, two living areas with ocean views, large decks and top of the line finishes. The specs include hardwood floors throughout, tile bathrooms, ceiling fans, recessed lighting, a security system an elevator, stone counters, Anderson windows and much more. 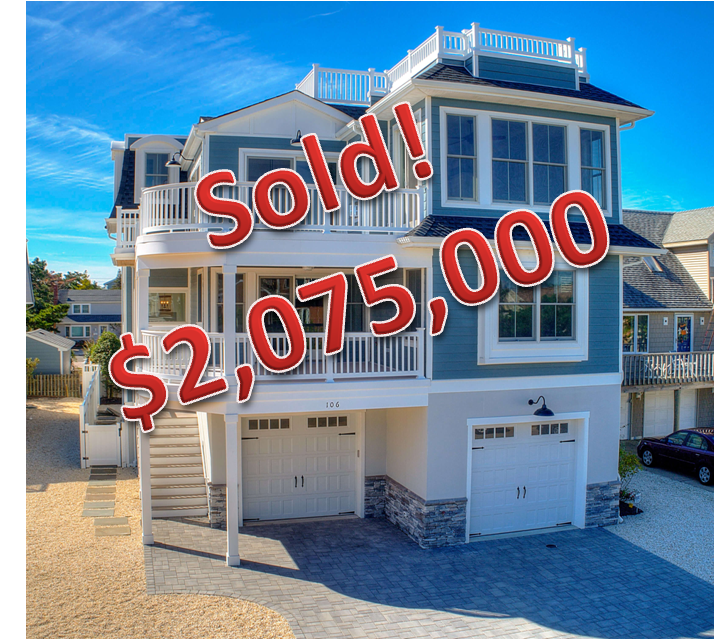 Plenty of time to make your custom selections and complete this oceanfront masterpiece! 101 E South Carolina Avenue (112th Street) is a luxury ocean block oasis that is ready for immediate occupancy. This distinctive residence sits on a 75x90 lot, fourth from the oceanfront, in the sought-after enclave of Haven Beach. It will boast 6 bedrooms (including 4 with en suite baths), 5 full baths, 1 half bath, 4,100 sqft of living space, 1,200 sqft of decks, striking ocean views, and an extraordinary outdoor entertaining space replete with in-ground pool, fire pit, and custom landscaping. The feature list includes a 3-stop elevator, central vacuum system, central audio system, full appliance package, hardwood and tile floors, custom shaker-theme trim package (with upgraded wainscoting, interior doors, and mouldings), and a large cabana room (at legal elevation) on the ground level leading out to the pool area. 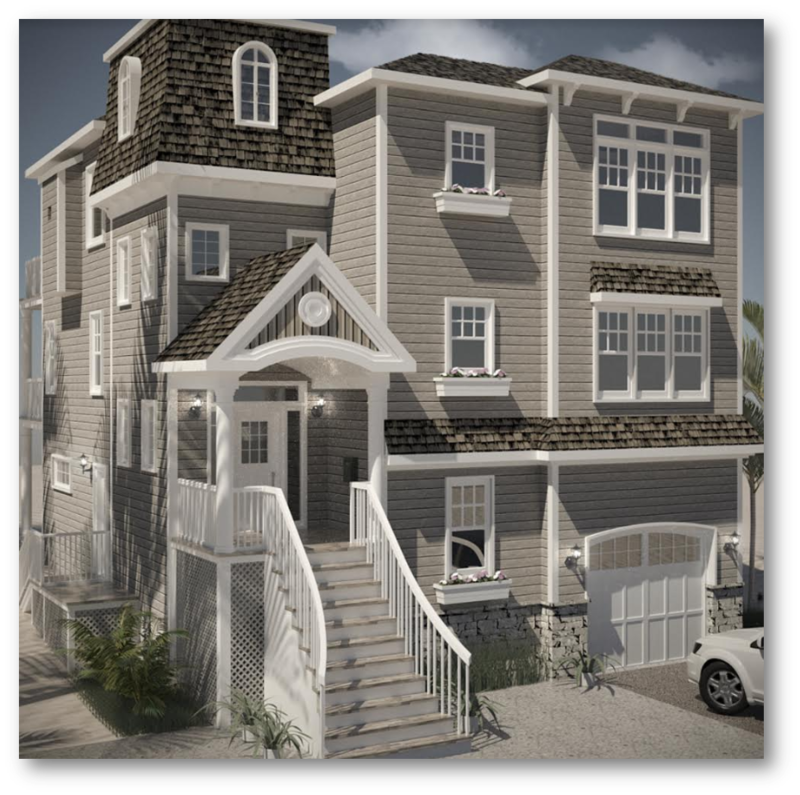 3 E 86th Street is a luxury oceanblock home currently under contraction in Harvey Cedars. This elegant 5 bedroom home will feature 2 master suites (including a large master with his and hers walk in closets), 3 bathrooms, a family room, a large great room with expanded kitchen/dining area, multiple levels of decks with ocean-views and a spacious back yard with built in outdoor kitchen. 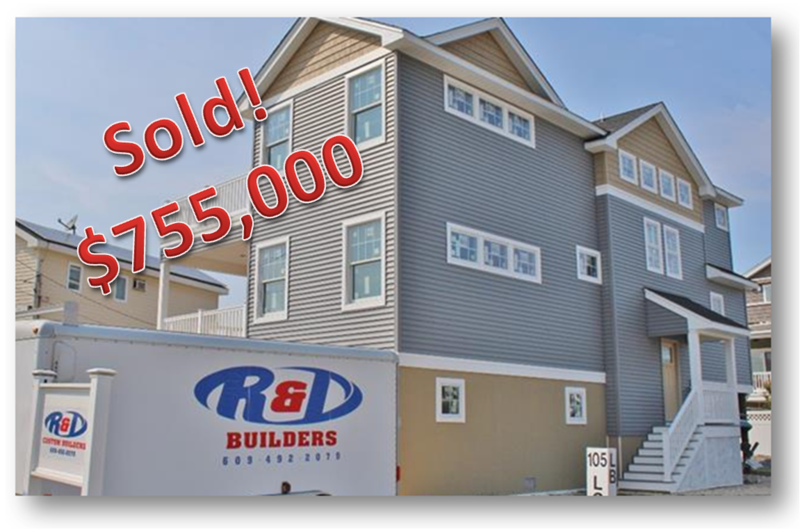 The finish list will impress the most discerning buyer with wood flooring, maintenance free siding, Anderson windows, an elevator, custom tile work and contemporary trim package. Still plenty of time to put your own personal touch on this Long Beach Island masterpiece. 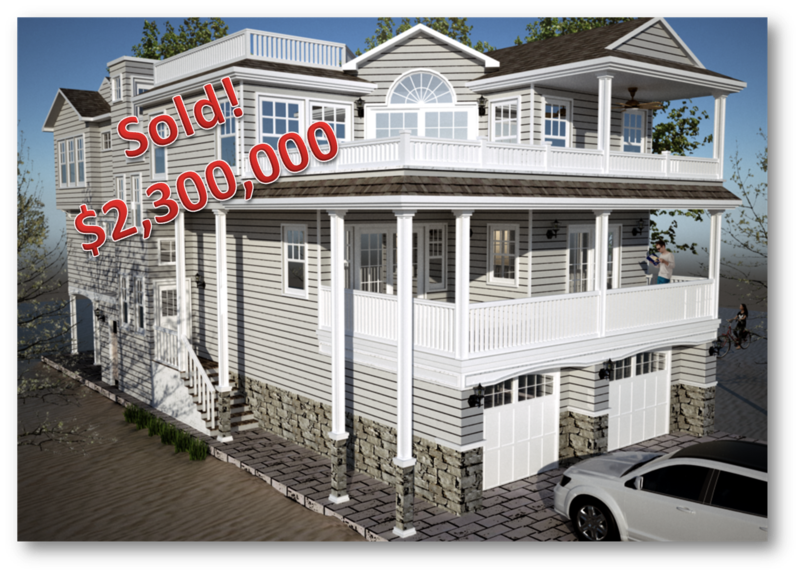 123 E 27th Street is a brand new luxury home just steps to the beach on Long Beach Island. This one of a kind design will feature an enormous great room for entertaining with the main living area, dining area and kitchen comprised of over 1,000 sq feet! The home will also feature 5 bedrooms, three of which have private bathrooms, a second large living area, three levels of decking (with oceanviews) and room for a pool in the back yard. The finish list will include wood flooring throughout, quartz counter tops, tile bathrooms, an elevator, security system, Anderson windows and a maintenance free exterior. Quality meets value on Long Beach Island! This three story home offers 5 bedrooms, 3 living areas, an oversized 57x80 lot and a great oceanside location only 10 houses to the beach. The finish list will include cedar impression vinyl siding, an elevator, white oak flooring, stone counters, custom tile bathrooms, unique custom trim details, a roof top deck and a professionally designed interior. The home is still in the planning and development phase so there is plenty of time to customize. Browse some of our past projects and learn more about LBI new construction sales and market pricing. Explore some of the interior and exterior finish work from our past projects. You can see examples of kitchens, bathrooms, landscaping and much more! Browse some of our past designs and learn about how we design each project specifically for the site it will be built upon to maximize potential views. Learn about new construction trends in the Long Beach Island real estate market and read updates about design patterns, buyer information and much more. Please note the plans shown on this website are subject to change. Please confirm the exact dimensions, layout and finish work with the builder before making any decision.